This chevron print dress carries a flattering fit and is perfect for your growing bump. The dress comes with a beautiful black bow in the middle. With the neutral colour palette and simple pattern, the dress will certainly complement the rest of your baby shower look. 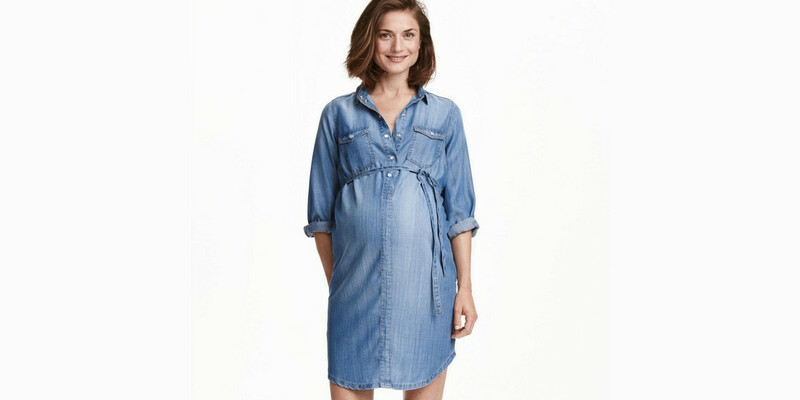 This relaxing and super stylish denim dress can be paired with comfortable sneakers for a look that is trendy and subtle. You can also style the look further with accessories and some bling or just let the simplicity define the demeanour. This navy blue and white knitted maternity sweater is perfect to accentuate that growing belly. With the cool colour and standard pattern, the sweater will match well with all style and colour preferences. There is no doubt about the fact that maxi dresses are pregnant woman’s best friend and when it is your baby shower you ought not to miss on calling your bestie. This beautiful and breezy dress will keep you calm and composed while looking seasonally trendy. Simple and sophisticated this colour block lace dress is a classy option to opt for your baby shower. Pair the dress with simple pearls or studs to rock the mama look. This bodycon, stretchy silhouette dress carries a flattering fit that will definitely interest the fashion forward mommies. Pair the dress with simple earrings and silky scarf and let the dress do the actual talking. This nautical themed maternity wrap dress with the flexible fit is perfect to wear throughout the pregnancy and of course the baby shower. The dress drapes beautifully on the body and will make your baby shower equally trendy and comfortable. Don’t hesitate from adoring bold prints and colours for your baby shower. With everyone actually gazing and celebrating your bump, you might as well dress up like it. This mint green floral chiffon dress with comfortable sleeves is a great option to choose for the party. 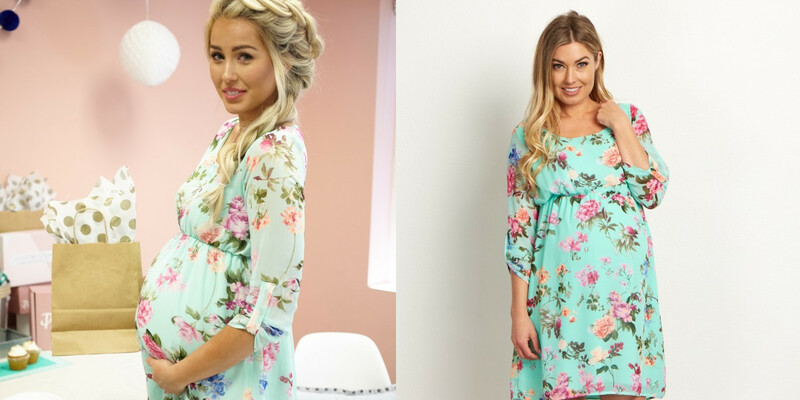 If you love the floral print, you will love this sash tie maternity dress. Comfortable and stylish, the dress is perfect to match your special day. Pair the dress with rope style jewellery to complete the stylish look. 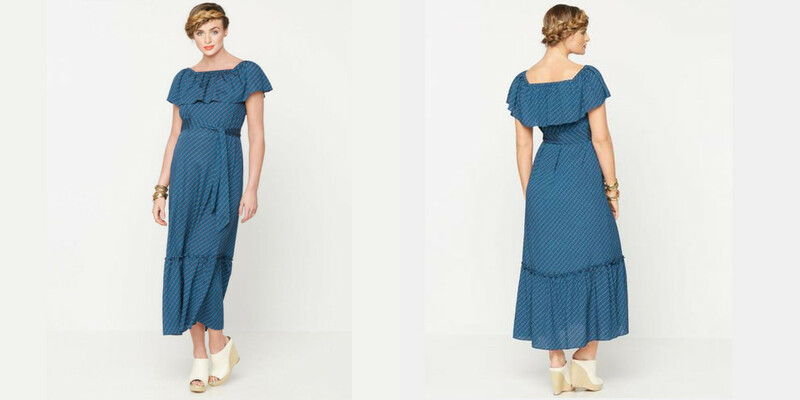 Rachel Zoe’s maternity collection is definitely a delight for all the mothers to be. 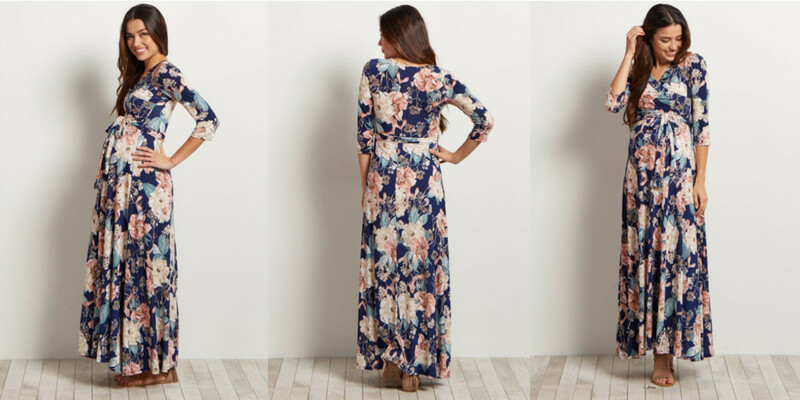 This boho luxe maxi dress takes its inspiration from the Californian style and with the added belt, the dress is even perfect to wear after the pregnancy. Pick the trendiest and dress your baby bump in style this baby shower.